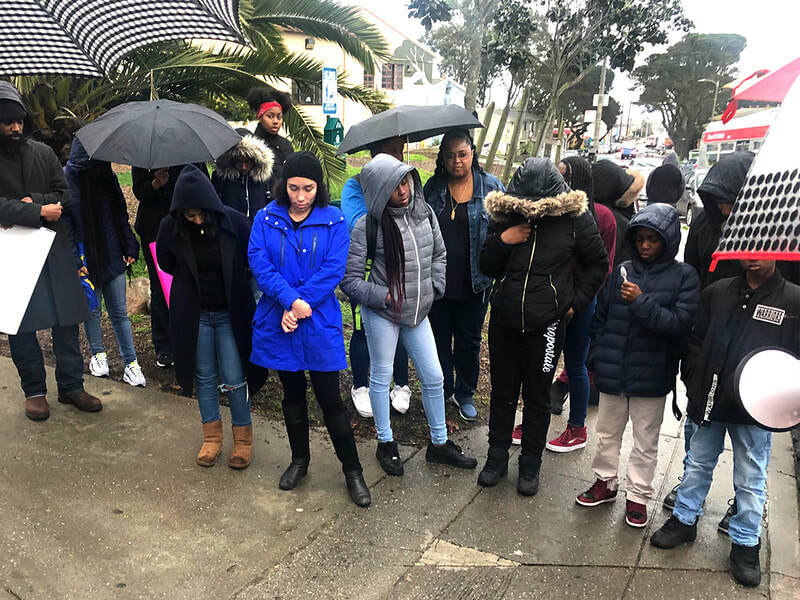 On February 1, Visitacion Valley Strong Families and all of the organizations serving the Sunnydale/ Visitacion Valley community came together to have an opening march into Black History Month to celebrate unity and to get the community involved. Join us on Thursdays, 5:30 - 7:30 pm on February 7, 14, 21 and Wednesday 27 for Black History community events. We will be at the Sunnyvale Community Center at 1654 Sunnydale Avenue. Each event has a special theme with fun activities planned for attendees. 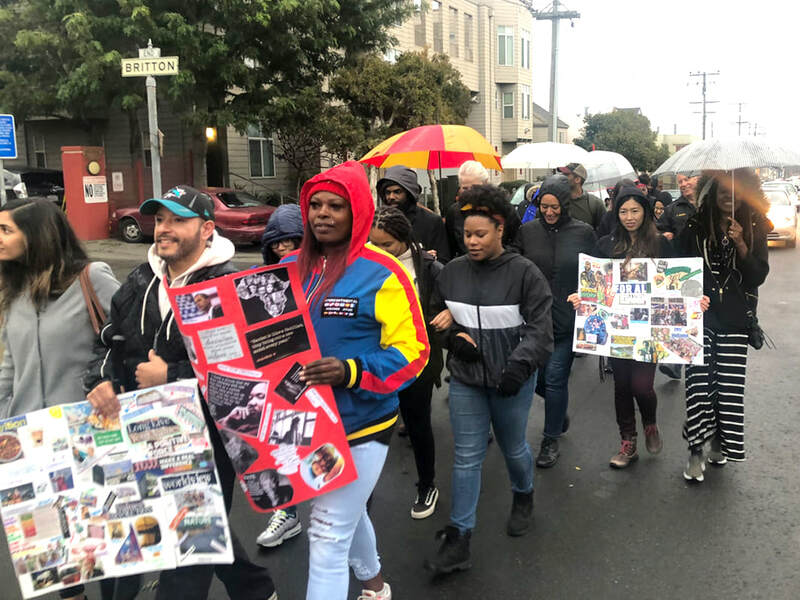 The marchers are staff and representatives from Visitacion Valley Strong Families, Mercy Housing, Wellness Center, SPARK, TURF, Urban Sprouts, local churches, Sunnydale Boys and Girls Club, YMCA. THU, February 7 is National Black HIV / AIDS Awareness Day and Health Education Fair. STD testing is available onsite. Food will be provided. THU, February 14 is Black Love. 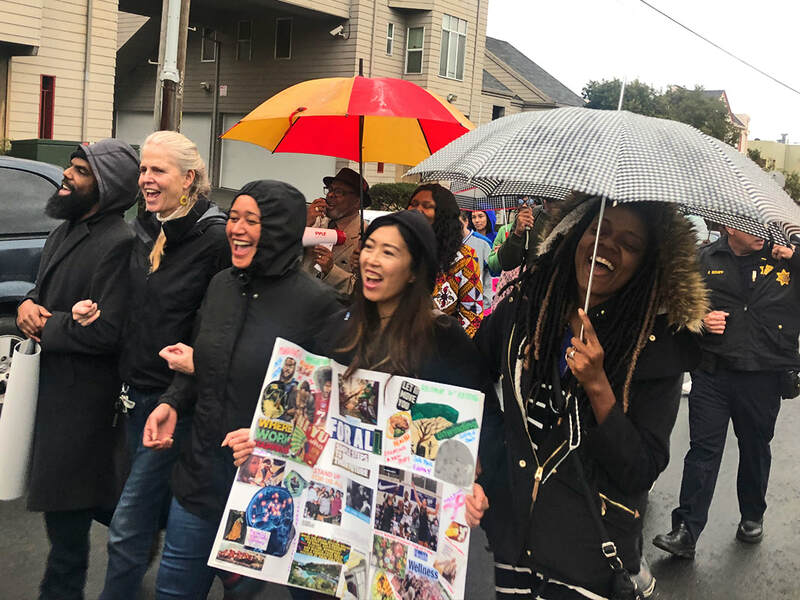 Make crafts and conversations on self-love and loving relationships. There will be a chocolate station. THU, February 21 is Soul Train. Dance the night away in the soul train. Learn about African moves, and see their influences on modern dance. WED, February 27 is Harlem Nights. Play in a 1920's theme casino night while learning about Black Wall Street and the Harlem Renaissance. Food will be provided.